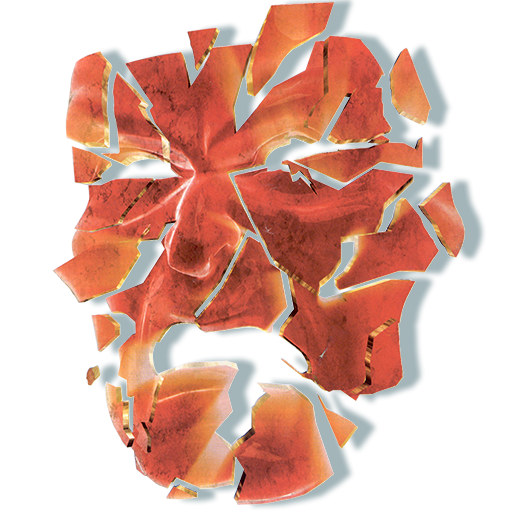 Never before has any organization provided a means for members who have failed the trust of the group to actually redeem themselves and terminatedly handle the cause of their destructive actions. Only the Sea Organization, using LRH technology, extends this opportunity to its group members through the Rehabilitation Project Force program. The objective of the RPF program is to restore to the individual his value to the group and to himself and to free him forever from any compulsion to commit harmful acts against his dynamics. To further advance this objective and provide a fully standardized means of achieving it, a meticulous search through all LRH writings and Church policy on the subject of the RPF was conducted, with the aim of codifying its technical and administrative lines. The result is a new series of Flag Orders regarding the Rehabilitation Project Force that is verified as totally on-Source, with all possible arbitraries standing in the way of a staff salvage action removed. 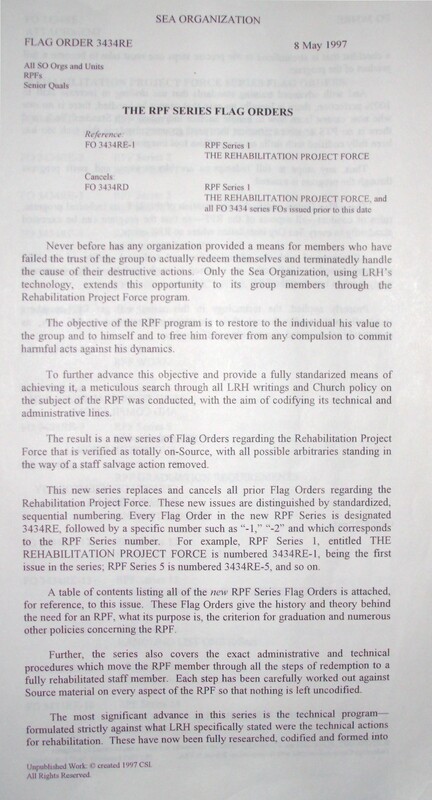 This new series replaces and cancels all prior Flag Orders regarding the Rehabilitation Project Force. These new issues are distinguished by standardized, sequential numbering. Every Flag Order in the new RPF Series is designated 3434RE, followed by a specific number such as “-1,” “-2” and which corresponds to the RPF Series number. 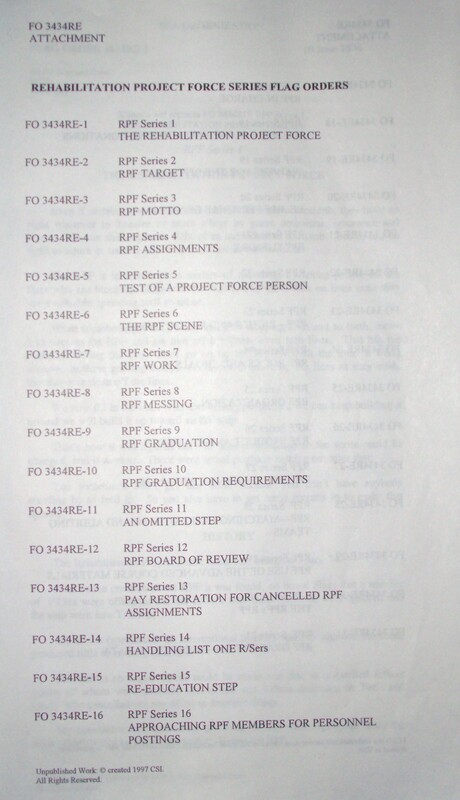 For example, RPF Series 1, entitled THE REHABILITATION PROJECT FORCE is numbered 3434RE-1, being the first issue in the series; RPF Series 5 is numbered 3434RE-5, and so on. 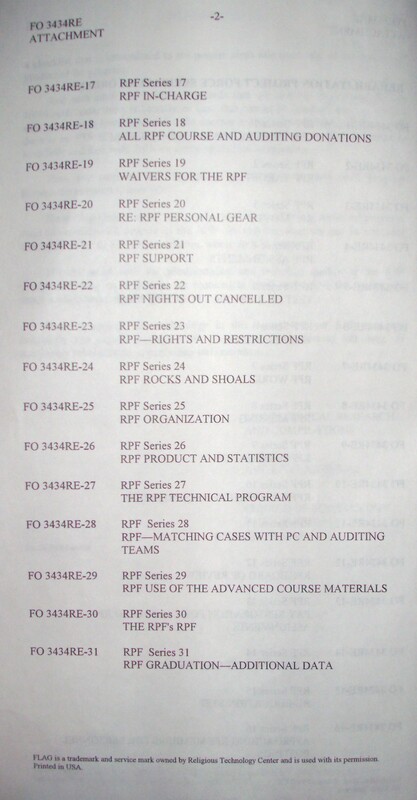 A table of contents listing all of the new RPF Series Flag Orders is attached, for reference, to this issue. These Flag Orders give the history and theory behind the need for an RPF, what its purpose is, the criterion for graduation and numerous other policies concerning the RPF. Further, the series also covers the exact administrative and technical procedures which move the RPF member through all the steps of redemption to a fully rehabilitated staff member. Each step has been carefully worked out against Source material on every aspect of the RPF so that nothing is left uncodified. Unpublished Work © created 1997 CSI. a checklist that is streamlined to the precise steps one must take to become a full product of the program. And with advanced training standards that use drilling to increase skill to 100% perfection, there is literally no case that cannot be handled; there is no one who now cannot learn how to handle another individual with Standard Tech, and there is no PTS or ethics situation that need go unresolved, as this tech too has been fully codified with drills on every ethics tool imaginable. Thus, any stops to full redemption are blown away and swift progress through the program is assured. 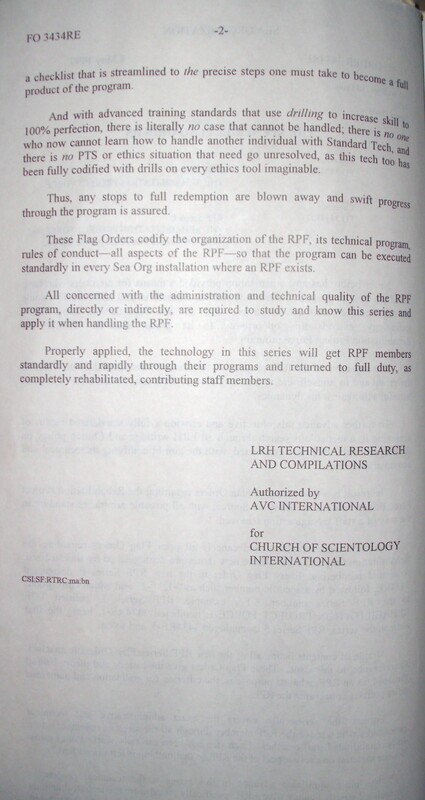 These Flag Orders codify the organization of the RPF, its technical program rules of conduct—all aspects of the RPF—so that the program can be executed standardly in every Sea Org installation where an RPF exists. All concerned with the administration and technical quality of the RPF program, directly or indirectly, are required to study and know this series and apply it when handling the RPF. Properly applied, the technology in this series will get RPF members standardly and rapidly through their programs and returned to full duty, as completely rehabilitated, contributing staff members.